Girls Divisions have been added this year! Divisions are TBD. **NOTE - Copy of a State issued birth certificate is required at registration. 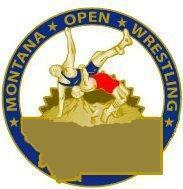 Additionally, the 18 & Under age group applies to high school eligible wrestlers. A current report card may be requested by tournament director(s) in case of protest. **All wrestlers must make weight in their singlet.